Welcome to travel to Tibet from Malaysia! Malaysia economy becomes stronger and stronger in southeast Asia. And so more and more Malaysian travelers come to Tibet. 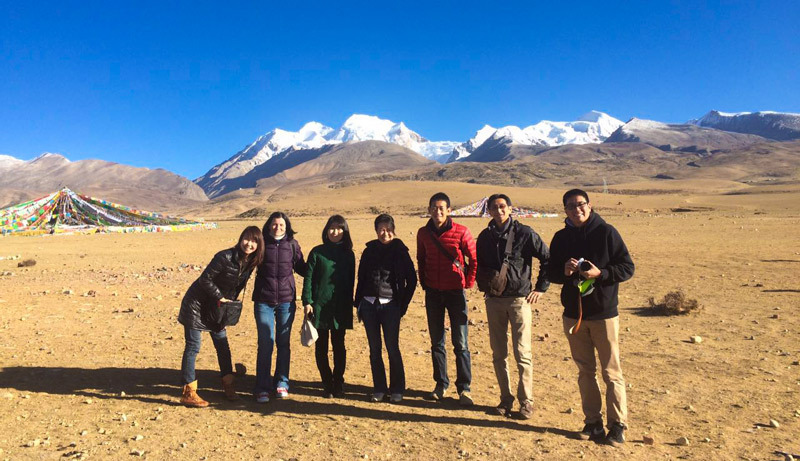 Based in Lhasa, Tibet Travel Expert Service know very well that each year, thousands of Malaysian travelers travelled in Tibet with Chinese tour agencies with lots of tourists traps and they never ever had a quality and pure Tibetan travel services at all. Here for Tibet tours, welcome to send us email by [email protected] or submit an online Tibet tour inquiry. Here Tony from Tibet Travel Expert Service shares the important Tibet travel information with distinguished travelers from Malaysia. 1) How to get to Tibet from Malaysia? As all people know that, to enter Tibet, you have two destinations options to travel to before entering Tibet. One is China and another one is Nepal. Lots of our Malaysian travelers enter Tibet via China because the Nepal Tibet Nepal airfare is very expensive (especially after the border closure after the strong earthquake in Nepal in April 2015). And there is discounted airfare between Kuala lumpur and Chengdu, or Guangzhou, Shanghai, etc. It is very convenient to fly to Chengdu via Malaysian Air Asia, there is early afternoon flight or evening flight. So Malaysian travelers can have one night stay in Chengdu before flying to Lhasa or take the train to Lhasa. If travelers enter Tibet from Nepal, Chinese individual visa will be no use, but local Tibet travel agency must help apply a “Tibet Group visa” in Chinese consulate in Kathmandu, Nepal. To apply this, normally 2 working days in Kathmandu will be necessary to avoid any urgent cases. 2) Both Private tour or Group tour for Malaysian travelers are optional. For Malaysian travelers to Tibet, you do not have to join a group tour, as you can have your own private tour if you prefer. Even one person can book a tour of Tibet. And since 2015, there is no more restriction on travelers nationality and group size. However group tours of Tibet are more economical way considering the expensive transport in Tibet. For Solo Malaysian travelers, you can also get permit, but be sure you will be part of an organized tour. It does not mean you have to book everything with travel agency. E.g you can book your own hotel in Lhasa, you can have your own free days in Lhasa, but when you travel outside of Lhasa, you will need to book a tour guide, and or a car when necessary. For Malaysian travelers, the same for any other foreign nationality travelers, you will need Tibet travel permits to board the plane to Lhasa (when flying from cities in China to Lhasa), and you will need original permit as well for boarding the train from Chongqing, Xi’an and Lanzhou for Lhasa. However permits photo copies work when you board the train from other cities to Lhasa. Chengdu is the main gateway entry point city to Tibet, there are many more flights a day between Lhasa and Chengdu. And the airfare is far cheaper than you flying from Beijing, Shanghai or Guangzhou, or from Nepal as well. There are daily and discounted airfare for flights between KUL and Chengdu all year-round on Air Asia. E.g the D7320, 9:15 AM-1:40 PM is a nice flight to take, and evening flight D7326 6:15 am-10:40 pm, both flights have good discounts if you book earlier. Before you fly to any cities in China from Malaysia, you will need to have China visa in advance. And the tourist visa-L type China visa is good if you can get it. You can apply it at China Embassy in KUL or at the China Consulates in Kuching, Penang and Kota Kinabalu. Remember not to mention any words of Tibet or Tibet tour when you apply your China visa, this is a common practice which we always recommend our foreign travelers. If you do mention, you may need our local Tibet travel agency’s further support to apply and send you the Tibet group visa invitation letter. To get permits ready for going to Tibet from Malaysia, normally 5-10 working days are necessary for regular tours without Mt. Kailash. And travel agency sends permits to hotel or living address in China and so travelers can get it in hand before flying to Lhasa or Nyingchi. 9) For Malaysian travelers entering Tibet from Nepal. Since 2015 earthquake, the common way is by flight from Kathmandu to Lhasa. From Kuala lumpur to Kathmandu, there are daily direct flights to Kathmandu on Air Asia. And from Kathmandu to Tibet, you can either fly to Lhasa or go by overland. But because of the strong earthquake, the overland via Zhangmu or Kyirong does not work and this situation may last long time till we get notice. However the overland tour in the past takes around 3 days at least, while the the flight takes about 75 minutes, but this flight is never cheap. All in all, the travel from Malaysia to Tibet is fairly easy. Just do lots of research on your own and bare the information above in mind and choose the right Tibet travel agency to start your dream tour. Hope above Tibet travel tips are helpful for you. Should you have any questions on Tibet travel, please feel free to write us an email. Our email address is: [email protected].